Jean Walters has been at the forefront in the movement for personal transformation, clarity, and truth for over 30 years. Through her writings, consulting, coaching, and Akashic Readings, her message and purpose are as inspiring as the peace and positivity that imbue her. Jean’s intention and commitment to deepest truth have brought her to share her wisdom and guidance to tens of thousands of clients and students. She is a Best Selling Author on Amazon.com And, through her intuitive channel, she has provided over 35,000 Akashic record readings to people all over the world. It is but one highlight of a varied and successful career, which includes working with and training individuals, organizations and businesses. She knows the serious side of personal development and she can ignite a team in your organization like nobody’s business. Whether you are old school or new millennium, you will find Jean’s authenticity and wisdom compelling and magical. 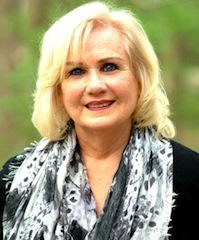 Jean Walters' years of experience as an expert in personal empowerment uniquely positions her to assist clients reach their next level of success. As a business owner, author, radio host, and business consultant she brings a wealth of practical knowledge to transform audiences. Her passion and expertise shine through each presentation as she shares Universal success principles to assist participants reach higher and go farther. (See testimonials). Be Outrageous; Do the Impossible - Others have; You can too! Set Yourself Free: Live the Life YOU were meant to Live! Choosing Health: You have a Right to Health; Are you Willilng to Claim it! See books and e-books available on this website. Her syndicated radio show, Positive Moments, aired on 120 stations across the nation. Numerous business owners and entrepreneurs have benefited from her consulting services. (see testimonials). Akashic (intuitive) readings provide clarity, insight and pragmatic information to assist clients expand relationships, careers, create prosperity, and achieve over-all well being. For scheduling and availability contact her office at (314) 991-8439, 314 566 5231 cell or email: jean@spiritualtransformation.com.